The perfect family home! Custom designed & built, was builders own home. If you need 5 bedrooms this is it! Main floor is open plan living ideal for entertaining, with a beautiful new kitchen and hardwood floors. The lower level could easily be a separate 2 bedroom suite. The detached garage/shop is perfect for storage or work space. A small ocean view from this sunny, corner lot with tons of room for your boat or RV. 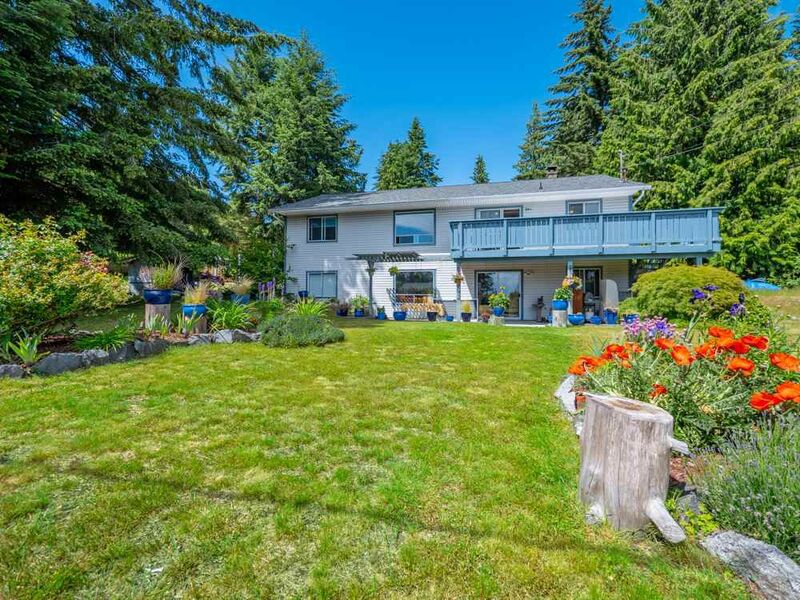 Within walking distance to school, beaches or hiking trails.